Tooth & Nail Winery's free Friday concerts are a hit! It’s Friday, July 10, and after arriving in Paso via the 46 West exit, off to the right, we see a hilltop castle surrounded by vineyards. This castle’s legit! There’s a moat out front, machicolation, brattice, and battlements. It’s Tooth & Nail Winery looming in front as we walk up its steps, but instead of seeing serfs herding goats and wenches selling tankards, it’s filled with relaxing people sipping fine wines and enjoying live music in lounge seating or around tables. A MOAT AND EVERYTHING! : Tooth & Nail Winery boasts medieval architecture with modern comforts like lounge seating, exceptional service, and free live music on Friday evenings. As I make my way into the tasting room, I’m greeted by tasting room manager Meagan Cook, who pours me a glass of something red and tells me all about it, but since my wine expertise begins and ends with my ability to tell what color it is, I just sip and enjoy and don’t try to think too much about it. Soon I find myself in the winery’s art gallery, where I meet visiting Portuguese street artist GonçaloMAR and check out his colorful work (Arts Editor Hayley Thomas interviewed him in “Don’t Say it, spray it!” New Times, June 25). The winery actually encouraged him to spray paint right on the gallery wall. “I guess that one’s not for sale,” I say, gesturing to the colorful design sprouting human arms and a deer head. ART LOVERS’ DELIGHT: Portuguese street artist GonçaloMAR’s work was on display in the winery’s art gallery, including spray-painted work right on the gallery wall. “Not unless you’re willing to take out the wall,” he jokes, before marveling that the winery allowed him to do it in he first place. I’m hungry, so my wife and I order a couple “Danior Burgers” with bacon-onion jam, Dijon aioli, white cheddar, arugula, and house pickles. I also order the french fries with aioli herbs and my wife gets the sautéed baby kale with Portuguese linguiça sausage and a 62.8-degree egg. When it arrives at our table a short time later, I’m impressed! That’s a damn fine burger! So juicy! And that aioli to dip the fries in? Delicious! I try my wife’s kale, and man, it’s good too! I spy a neighbor’s strawberry salad, and it looks amazing. The menu is fairly limited and changes regularly, but the food’s great and priced right. Chef Spencer Johnston and Danior Kitchen for the win! ROCKIN’ AND SHAKIN’! : Stylish R&B act The Drive-In Romeos had the crowd pumped up and dancing! Now it’s time to soak up the rockin’ R&B sounds of The Drive-In Romeos, who’ve added a couple of back-up singers to their core four members. When they start playing Chubby Checker’s “Twist,” the sizeable crowd rushes the dance floor. It’s a party up in this joint! These guys (and one gal) are dressed to the nines, and they sound great. Ray Williams’ sax is a nice touch, gotta love the stand-up bass helmed by Mark Garza, and lead singer Don Gonzales Jr. has a great voice and the perfect amount of menace for their rootsy sounds. Some of my wife’s family is here, and her uncle and aunt Kirk and Crystal Kidwell are ripping up the dance floor. CHOW TIME! 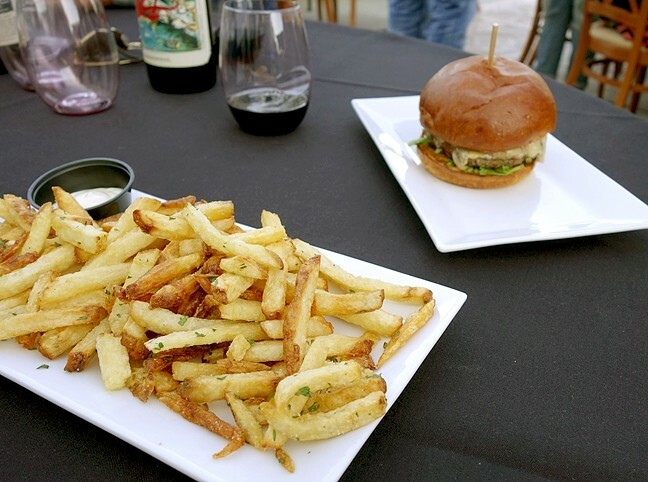 : Danior Kitchen Chef Spencer Johnston elevates the simple burger and fries to high art. “Say something funny and I’ll get you in the paper, Kirk,” I say. This is the place to be on Fridays. The vibe is chill, the staff professional and attentive, the food fantastic, and the music amazing. Kids gaze into the moat, couples canoodle over bottles of wine, and people like my aunt- and uncle-in-law are loving the dancing … at least until I see Kirk hobbling back to the table holding his leg. 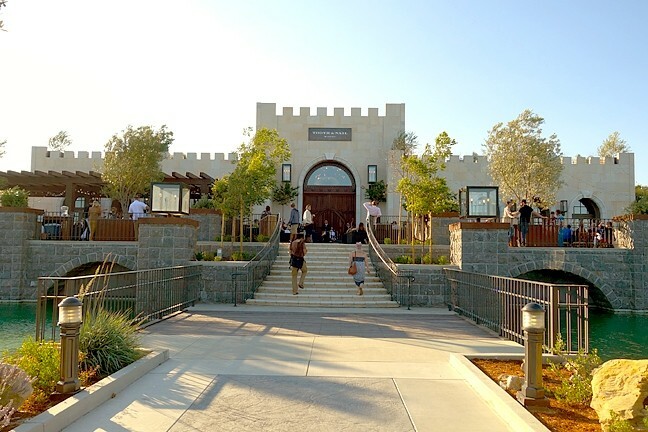 FIRST CASTLE ON YOUR RIGHT: Every Friday, Tooth & Nail Winery (3090 Anderson Rd., Paso Robles, 369-6100) hosts a pop-up concert in collaboration with Good Medicine Presents from 5 to 9 p.m. Food and wine is available for purchase. 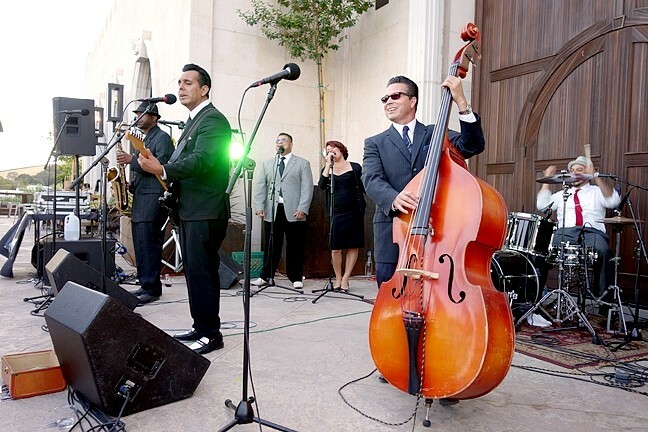 See Cali-Cubano ensemble Zongo All-Stars this Friday, July 17. Moonshiner Collective plays Friday, July 24. The Inciters play Friday, Aug. 7. “I got a cramp,” he laments.